I mentioned last week that Chicago teenager has been on a creative roll. Here is another one of her creations…this time made in the kitchen. 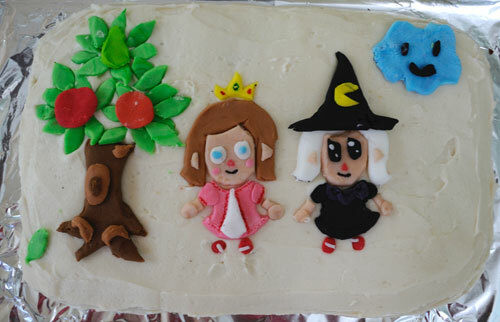 A fun Animal Crossing cake. She make this for a very old friend who visited this past weekend. They have been buddies since she was three and over the years have enjoyed many hours playing Animal Crossing. This entry was posted in Cake, Food, Teenager. Bookmark the permalink. ← String Art with Beads.